The Castle of Condat is a former commandry of the Knights Hospitaller, which are continued today by the Order of Malta. 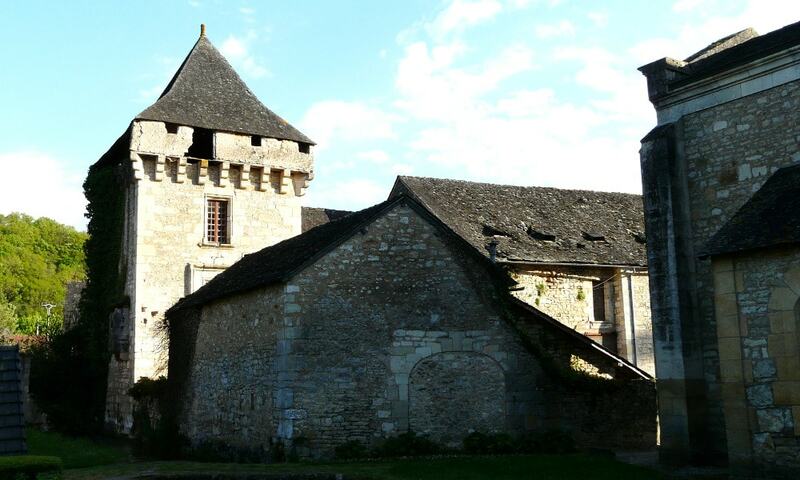 The commandry was constructed in the 12th century when the Knights occupied the town; it was the most important commandry of the Order in Perigord and it remained their main base in the region until the 18th century. Besides the defensive purpose, the building had served many functions such as residence, hospital for the sick or hostel for pilgrims. During the French Wars of Religion, the Order turned the nearby church into a fortress; it was still besieged and taken. The castle changed hands several times in the next two centuries until the commandry was pillaged and abandoned during the French Revolution. Today, the edifice is privately owned and not opened to the public. It consists of a square keep (built in the 14th century) and a second building, with a square defensive tower. In the past, there was also a moat but it was filled in.